It is my duty to make a quick mention for a new WordPress showcase site that was launched last week. LoopPress is the brainchild of Jim Keiffer and has been launched to showcase beautiful WordPress designs. If youâ€™re like me, you love WordPress and want to know how other developers and designers are using it, designing for it and adding to it. 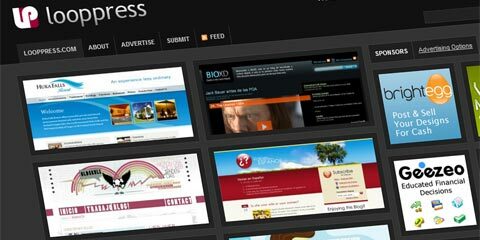 LoopPress is a gallery devoted to beautiful websites, blogs and themes built on the WordPress platform. The site is still finding its feet but already it provides a great source of inspiration for WordPress users and designers. I’m proud to have my humble site listed amongst its pages as already it is in the company of some stunning WordPress designs. LoopPress is an interesting idea and I wish Jim the best of luck with it. If you’re proud of your own WordPress site or theme why not head over to LoopPress and submit your own site? « Microblogging: What’s it all about?